comic book | Andy Sernovitz | Damn, I Wish I'd Thought of That! 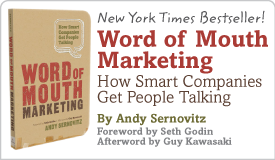 Very cool new project we’re working on: The Word of Mouth Marketing Comic. Learn more.